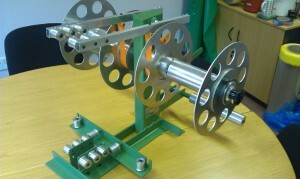 De-spooling unit: A full range of unwind / de-spooling units are available. De-spooling machines can be supplied in various options from simple braked systems to high speed driven systems. Where higher speed and greater control of the tapes is required these units are then supplied with independent tension control.